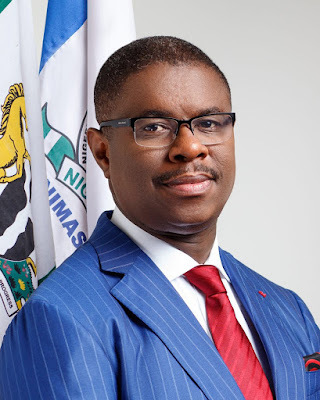 The Director General of the Nigerian Maritime Administration and Safety Agency (NIMASA), Dr. Dakuku Adol Peterside has stated that security in the Nigerian Maritime domain is a work in progress that requires the commitment of all stakeholders to ensure optimum safety of all investments in the sector. Speaking to journalists in Lagos at the weekend, Dr. Peterside stated that the Agency was taking the lead on the issue of maritime safety in the entire West and Central African sub-region noting that safety and security in the Gulf of Guinea has a direct impact on the Nigerian economy. The NIMASA DG noted that a lot of factors contribute to the cost of products coming into the country through the seas, which makes it very important to tackle insecurity in the waterways. While noting that 65% of cargo heading to the region ends up in Nigeria, Dr Peterside who is also the current chairman of the Association of African Maritime Administrations, AAMA said that securing the nation’s territorial waters was a work in progress that requires the commitment of all stakeholders and neighboring countries, noting that the Management of NIMASA has recognized this fact and is implementing international regulatory instruments in collaboration with various countries in the region to checkmate criminal activities. He said that on the home front, the Agencies of the government especially in the Transport sector have seen collaboration as the way to go and that it had occasioned the renewal of the MoU between NIMASA and the Nigerian Navy as well as partnership with other sister parastals. Dr. Peterside also noted that the Agency’s goal in the implementation of the International Ships and Ports Facility Security (ISPS) Code is 100% implementation level, stating that the Agency is still not resting on its laurels after achieving over 90% implementation level within a short period of being appointed the Designated Authority of the implementation of the code.